Help! 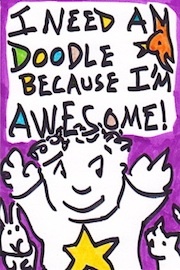 I need a doodle because I’m awesome! Equation Arts > doodle art > Help I need a doodle! > Help! 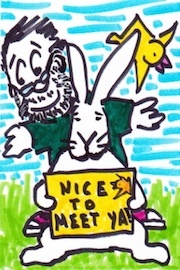 I need a doodle because I’m awesome! Name an animal you think is awesome. Shoes, Boots, Sneakers or Bare Feet? Catchphrase? Something you shout when you're in total awesome mode? What else should I know about your awesomeness? The next step is to click "KaPow!" which will send this info to me and bring you to the page where you select the size of your doodle and then it is checkout time.